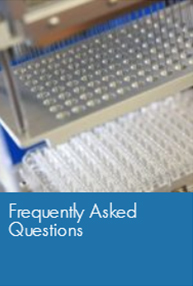 In addition to serving the crystallographic community by performing thousands of crystallization experiments each year, the High-Throughput Crystallization Screening Center is the home of an active research program. The goals of this program are to improve the success rates of crystallization screens, facilitate the viewing and analysis of these screens, and develop better means of optimizing crystal growth once an initial “hit” has been found. A long-term objective is to promote the rational prediction of better crystallization conditions based on macromolecular properties. The use of haptic interfaces and web services in crystallography: an application for a `screen to beam’ interface Bruno A, Soares A, Owen R, Snell EH. (2016) J. Appl. Cryst. 49, 2082-2090. Computational Crystallization Altan I, Charbonneau P, and Snell EH. (2016) Arch Biochem Biophys. 602:12-20. The detection and subsequent volume optimization of biological nanocrystals Luft JR, Wolfley JR, Franks EC, Lauricella AM, Gualtieri EJ, Snell EH, Xiao R, Everett JK, Montelione GT. (2015) Struct Dyn, 2, 041710. Comparing chemistry to outcome: the development of a chemical distance metric, coupled with clustering and hierarchal visualization applied to macromolecular crystallography Bruno AE, Ruby AM, Luft JR, Grant TD, Seetharaman J, Montelione GT, Hunt JF, Snell EH. (2014). PLoS One, 9, e100782. Identifying, studying and making good use of macromolecular crystals Calero G, Cohen AE, Luft JR, Newman J, Snell EH. (2014) Acta Crystallogr F Struct Biol Commun, 70, 993-1008. Statistical analysis of crystallization database links protein physico-chemical features with crystallization mechanisms Fusco D, Barnum TJ, Bruno AE, Luft JR, Snell EH, Mukherjee S, Charbonneau P. (2014) PLoS One, 9, e101123. A new view on crystal harvesting Luft JR, Grant TD, Wolfley JR, Snell EH. (2014). J Appl Crystallogr, 47, 1158-1161 (2014). Crystallization screening: the influence of history on current practice Luft JR, Newman J, Snell EH. (2014). Acta Crystallogr F Struct Biol Commun, 70, 835-853. On the need for an international effort to capture, share and use crystallization screening data Newman J, Bolton EE, Müller-Dieckmann J, Fazio VJ, Gallagher DT, Lovell D, Luft JR, Peat TS, Ratcliffe D, Sayle RA, Snell EH, Taylor K, Vallotton P, Velanker S, von Delft F. (2012). Acta Crystallogr Sect F Struct Biol Cryst Commun, 68, 253-258. Small angle X-ray scattering as a complementary tool for high-throughput structural studies Grant TD, Luft JR, Wolfley JR, Tsuruta H, Martel A, Montelione GT, Snell EH. (2011). Biopolymers, 95, 517-530 (2011). Lessons from high-throughput protein crystallization screening: 10 years of practical experience Luft JR, Snell EH, DeTitta GT. (2011). Expert Opinion on Drug Discovery, 6, 465-480. Whats in a drop ?Correlating observations and outcomes to guide macromolecular crystallization experiments Luft JR, Wolfley JR, Snell EH. Cryst Growth Des, 11, 651-663 (2011). Crystal cookery using high-throughput technologies and the grocery store as a teaching tool Luft JR, Furlani NM, Nemoyer RE, Penna EJ, Wolfley JR, Snell ME, Potter SA, Snell EH. (2010). J Appl Crystallogr, 43, 1189-1207. Determination and application of empirically derived detergent phase boundaries to effectively crystallize membrane proteins Koszelak-Rosenblum M1, Krol A, Mozumdar N, Wunsch K, Ferin A, Cook E, Veatch CK, Nagel R, Luft JR, Detitta GT, Malkowski MG. (2009). Protein Sci, 18,1828-1839. Understanding the physical properties that control protein crystallization by analysis of large-scale experimental data Price WN 2nd, Chen Y, Handelman SK, Neely H, Manor P, Karlin R, Nair R, Liu J, Baran M, Everett J, Tong SN, Forouhar F, Swaminathan SS, Acton T, Xiao R, Luft JR, Lauricella A, DeTitta GT, Rost B, Montelione GT, Hunt JF. (2009). Nat Biotechnol, 27, 51-57. Glycerol concentrations required for the successful vitrification of cocktail conditions in a high-throughput crystallization screen Kempkes R, Stofko E, Lam K, Snell EH. (2008). Acta Crystallogr D Biol Crystallogr, 64, 287-301. AutoSherlock: a program for effective crystallization data analysis Nagel, RM, Luft, JR, Snell, EH. (2008). J Appl Crystallogr, 41, 1173-1176. 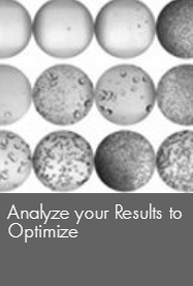 Establishing a training set through the visual analysis of crystallization trials. Part I: approximately 150,000 images Snell EH, Luft JR, Potter SA, Lauricella AM, Gulde SM, Malkowski MG, Koszelak-Rosenblum M, Said MI, Smith JL, Veatch CK, Collins RJ, Franks G, Thayer M, Cumbaa C, Jurisica I, Detitta GT. (2008). Acta Crystallogr D Biol Crystallogr, 64, 1123-1130 (2008). 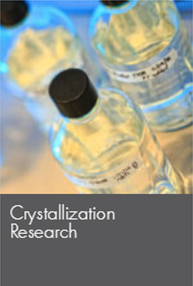 Establishing a training set through the visual analysis of crystallization trials. Part II: crystal examples Snell EH, Lauricella AM, Potter SA, Luft JR, Gulde SM, Collins RJ, Franks G, Malkowski MG, Cumbaa C, Jurisica I, DeTitta GT. (2008). Acta Crystallogr D Biol Crystallogr, 64, 1131-1137. The application and use of chemical space mapping to interpret crystallization screening results Snell EH. Nagel RM, Wojtaszcyk A, O'Neill H, Wolfley JL, Luft JR. (2008) Acta Crystallogr D Biol Crystallogr, 64, 1240-1249. Efficient optimization of crystallization conditions by manipulation of drop volume ratio and temperature Luft JR. Wolfley JR, Said MI, Nagel RM, Lauricella AM, Smith JL, Thayer MH, Veatch CK, Snell EH, Malkowski MG, Detitta GT. (2007) Protein Sci, 16, 715-722. A deliberate approach to screening for initial crystallization conditions of biological macromolecules Luft JR, Collins RJ, Fehrman NA, Lauricella AM, Veatch CK, DeTitta GT. (2003). J Struct Biol, 142, 170-179 (2003). Automatic classification of sub-microlitre protein-crystallization trials in 1536-well plates Cumbaa CA, Lauricella A, Fehrman N. Veatch C. Collins R. Luft JR. DeTitta G. and Jurisica I. (2003). Acta Cryst, D59, 1619-1627. Improving objectivity and scalability in protein crystallization: integrating image analysis with knowledge discovery Glasgow JI. Jurisica I. Wolfley JR. Luft JR. Collins RJ. DeTitta GT. and Rogers P. (2001) IEEE Intelligent Systems,16, 26-34. Image-feature extraction for protein crystallization: integrating image analysis and case-based reasoning Jurisica I. Rodgers P. Glasgow J. Fortier S. Luft J. Bianca M. Collins R. and DeTitta G. (2001). IAAI-01 Proceedings. 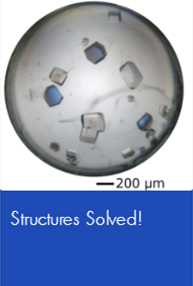 High throughput macromolecular crystallization: an application of case-based reasoning and data mining Jurisica I. Rodgers P. Glasgow J. Fortier S. Collins R. Wolfley J. Luft J. and DeTitta G. (2001). In Methods in Macromol Cryst, D. Turk & L. Johnson (Eds), IOS Press, pp. 9-14. Intelligent decision support for protein crystal growth Jurisica I. Rogers P. Glasgow JI. Fortier S. Luft JR. Wolfkey JR. Bianca MA. Weeks DR. and DeTitta GT. (2001). IBM Systems Journal, 40., 394-409. Macromolecular crystallization in a high throughput laboratory the search phase Luft JR. Wolfley J. Jurisica I. Glasgow J. Fortier S. and DeTitta GT. (2001). J Cryst Growth, 232, 591-595. 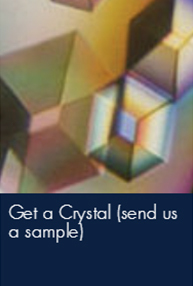 Macromolecular crystallization in a high throughput setting DeTitta GT, Bianca MA. Collins RJ. Faust AME, Kaczmarek JN, Luft JR. Fehrman N. Pangborn W. Salerno JM. Wolfley JR. Jurisica I. Rodgers P. Quon G. Glasgow J. and Fortier S. (2001) 2001 Conf & Exhibit on Intl Space Station Utilization, A01-2001-5077.